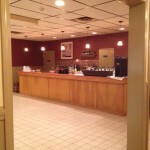 All hall rentals includes tables, chairs, and one bartender. 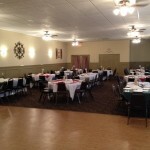 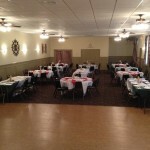 The capacity of our banquet hall is 170 people. Perfect for Weddings, Showers, Jack & Jills, Anniversaries, Birthday Parties, Corporate Functions, Holiday Celebrations, and much more! 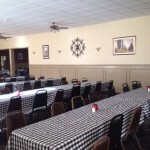 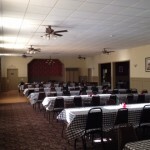 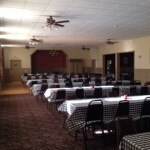 Optional Rental Equipment Available for a Fee: Plates and Silverware, Linen, Round tables, and Keg Refrigerator. 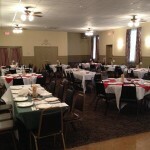 In-House Catering, Dozens of Local Caterers and Restaurants. 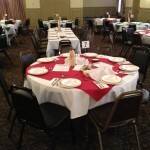 To make a reservation, please contact Mark Francoeur at (413) 218-5152.